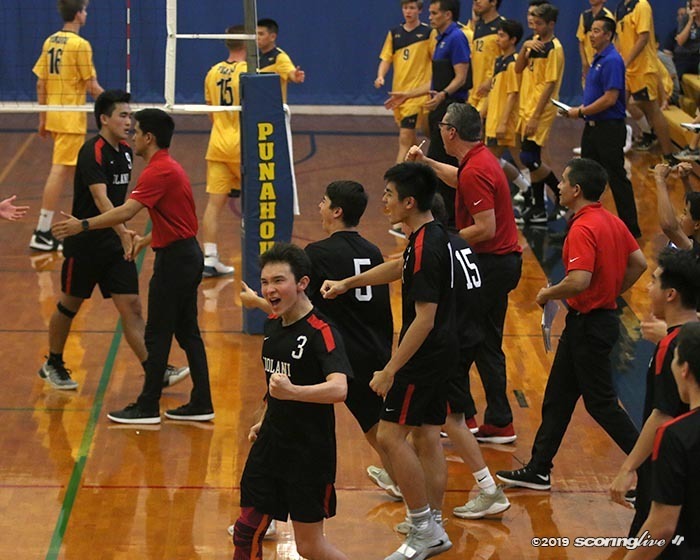 Against the most prestigious program in Hawaii high school boys volleyball, it was a freshman that helped deliver the final blow Wednesday night. Freshman outside hitter Laiakea Hirahara had five of his nine kills — including match point — in the final set of No. 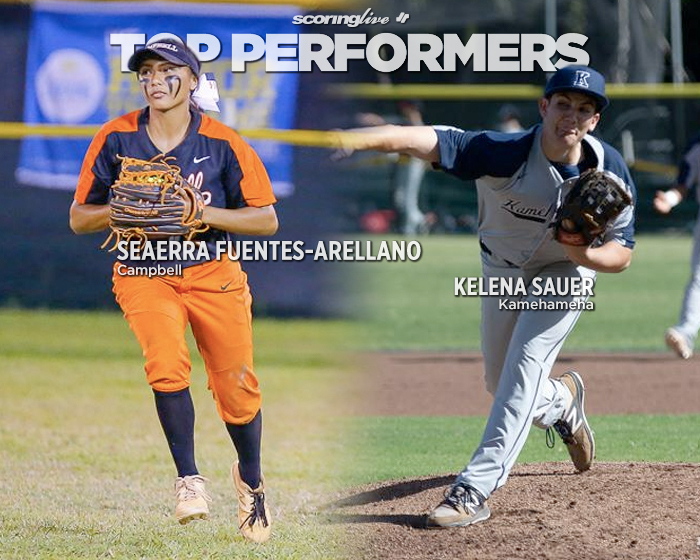 2 Kamehameha's 25-21, 14-25, 27-25, 25-14 win over top-ranked Punahou earlier this week at Hemmeter Fieldhouse. 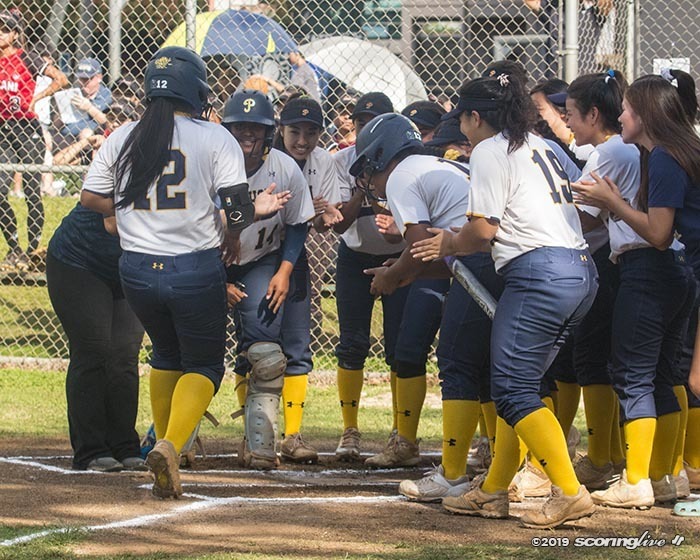 The Warriors' victory over the Buffanblu (9-1) — who won 37 state titles, which includes the past seven — forces a playoff for the ILH Division I first-round title and the state berth that comes with that honor. 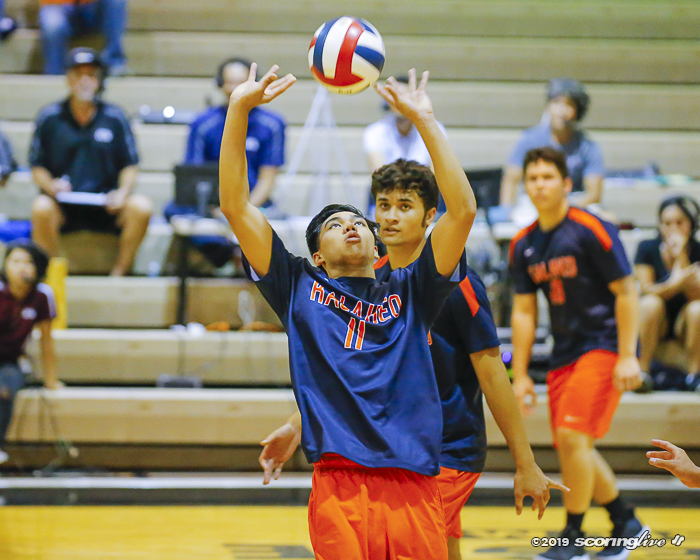 That match will be held at Kamehameha's gym Saturday at 11:00 a.m.
Kamehameha (9-1) also picked up its first win over Punahou since 2016 as it ended a 47-match winning streak by the Buffanblu. Hirahara, who is in the starting lineup with sophomore Cruse Aea sidelined with a back injury, had a sense of relief after the match. "It's very relieving because I had doubts since I'm a freshman and I'm playing at a high level with all these seniors and juniors. 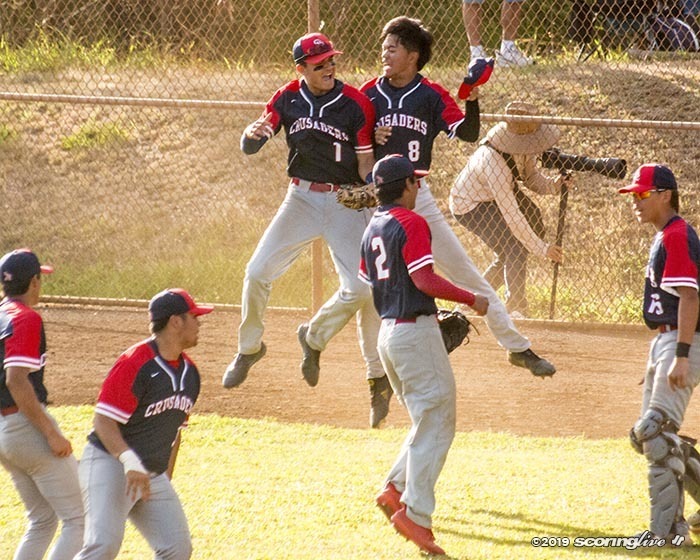 It felt really good because we haven't won in a long time against Punahou," he said. "It feels really inspiring for me because now I know I can play at this level with all of them and I can (compete) with my skills that I have right now, but I'll always try to improve to be a better player." Hirahara didn't have the best start to the match however. He got blocked twice in the opening set and hit negative for the frame. In the second set, he failed to register a kill and had an attack hit one of the antennas. But the 6-foot freshman kept swinging. When Punahou started to pull away to start a pivotal third set, Hirahara had a kill to cut into the Buffanblu's lead, 7-4. 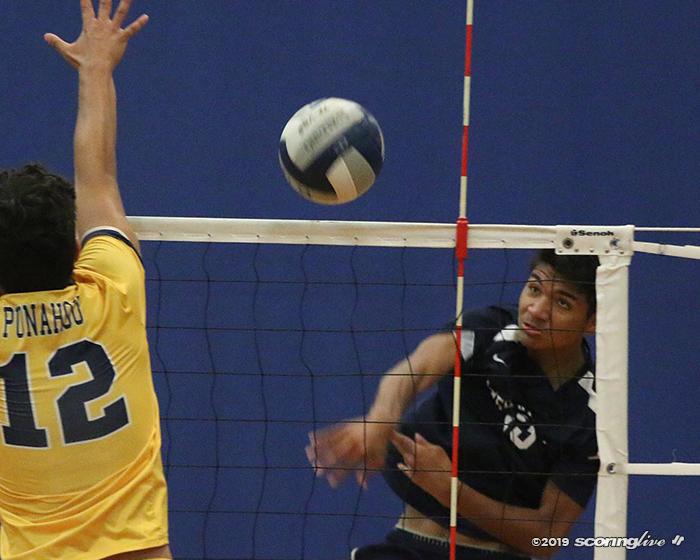 He also had the set-winning kill after Punahou got called for a blocking violation. The fourth set is when he really came into his own. Hirahara's first kill in the final set of play went down the line to put Kamehameha up 7-2. 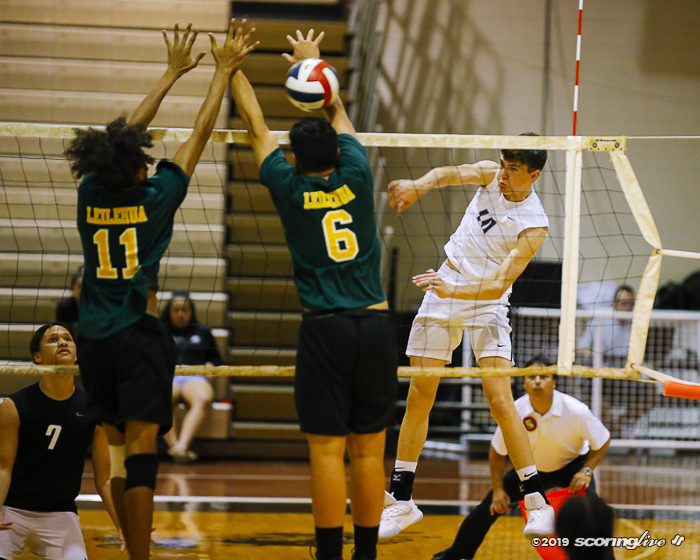 He also was on a block with Titus Maunakea for the next point and later had a kill off the Buffanblu block to force a Punahou timeout with the Warriors leading 9-2. He also had kills to give Kamehameha a 12-3 and 15-4 lead before ending the match on an attack that rolled of the net. 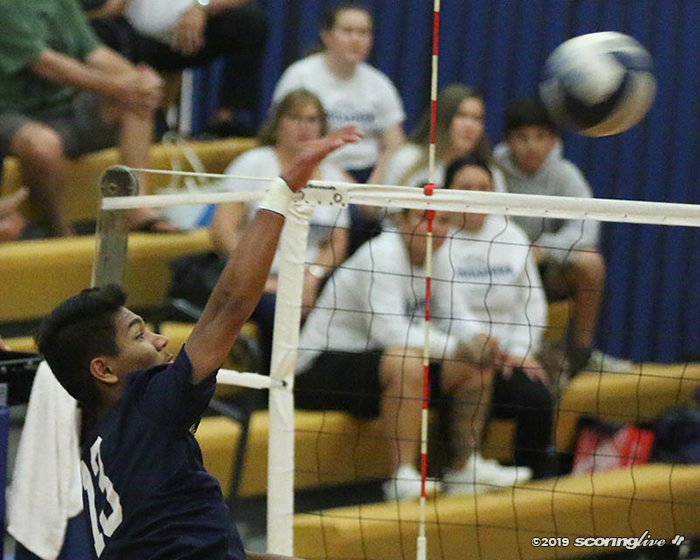 "He played a helluva of a match as a freshman," Kamehameha coach Randy Nako said of Hirahara. "He'll only get better, which is good for us." Junior Christmas Togiai was the leading attacker for the Warriors in the win with 12 kills. Senior captain Matthew Saffery was also key with 33 assists. Hirahara credited Saffery's leadership for the Warriors' turnaround after dropping the second set. "Our captain told us we needed more energy and to come together as a team," he said. "That's how we pulled through the third and fourth set."